Last night I happened into a supermarket I don’t usually enter, and found myself one step beyond. There, Aisle 8 offers some very special beverages. What? 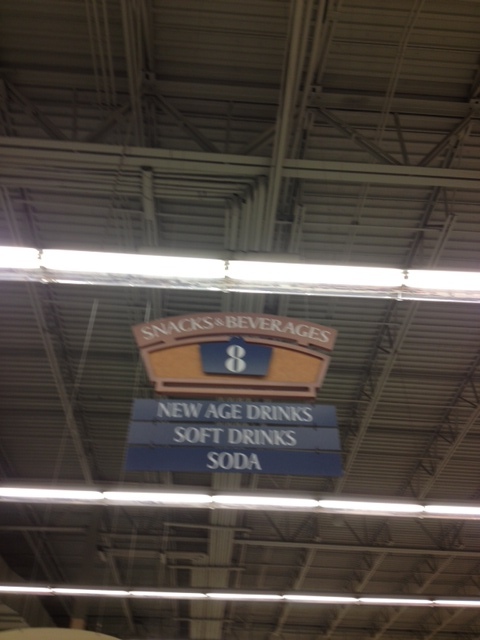 No New Age snacks? I wish I could tell you for sure what classifies as a New Age drink. However, I got distracted and forgot to cruise Aisle 8 before I left. Call it a failure of intellectual curiosity if you must. Enlightenment juice (never from concentrate)? Boba with crystal instead of soy beads?